Google is making an attempt to make Android more inclusive for consumers with low-end smartphones. It launched a slimmed-down variant of its mobile OS dubbed as Android Go in line with this vision, towards the end of December. A little after that announcement, HMD Global’s Nokia 1 was rumored to be the very first phone to debut with Android Go in tow. Earlier we got a glimpse of the purported Nokia 1, and now new pictures show its rear and what looks like an extra cover for the phone. 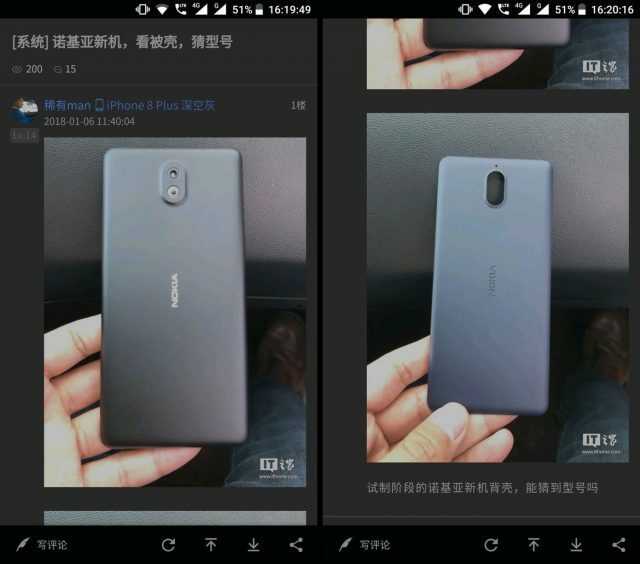 As you can see in the images attached below, the Nokia 1 will feature a single rear sensor with LED flash at the bottom of it. HMD Global seems to have opted for a matte finish for the back cover that features the Nokia branding at its regular location. It has also chosen to keep the front-mounted fingerprint scanner underneath the display, if indeed the phone has one. There’s nothing more to learn from this latest leak, but previous ones had suggested that the Nokia 1 will feature a 5-inch HD display. It’ll be powered by a MediaTek processor, coupled with 1 GB RAM and 8 GB internal storage. 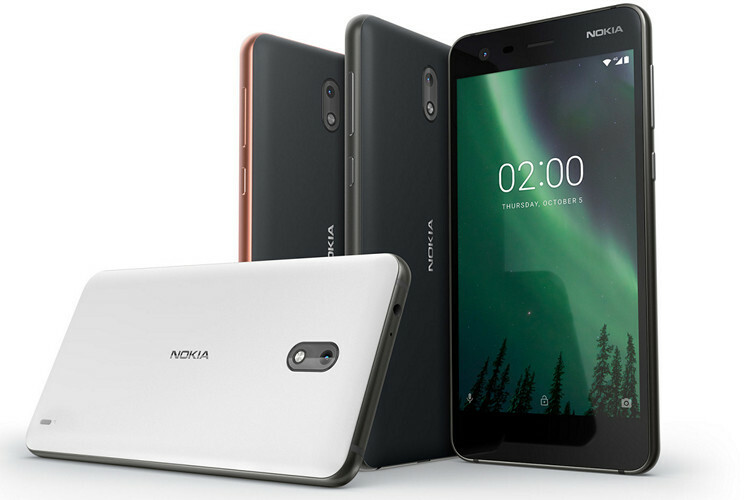 Even if the above phone is not a Nokia 1, it points to a new smartphone coming from HMD Global, since this one is unlike any of the other phones the company has launched so far, including the Nokia 2. On the software front, the Nokia 1 will run Android Oreo (Go edition) that brings along an optimised variant of Google Play Store and other apps in tow. They are expected to take up to 50 percent less space than traditional apps and offer 15 percent faster load times. Android Go is a trimmed-down variant of Google’s mobile OS, which aims to provide everyone access to its services, even under spotty Internet connections, and with underpowered devices. It will bring Oreo via Android Go to devices as cheap as Rs 2000 in India, according to reports last month. With the increased number of leaks for this device, it’s now being suggested that Nokia 1 will make its official debut at Mobile World Congress (MWC) 2018 at Barcelona, sharing the spotlight with the likes of the Galaxy S9.